Join the wider Ruach Israel community for a cappella Shabbat morning services! CityRuach members will lead us in a beautiful morning of singing, drumming, dancing and davening! All are welcome! Kiddush and vegetarian pot-luck oneg to follow. Join us as we welcome the Shabbat Queen with music, singing, food, and fun! We always have a great time together! You are more than welcome to bring friends as well. All are welcome! Please RSVP by April 18th by emailing Joe (Joseph.p.miterko@biola.edu) or texting him at (203)-218-1414. Join us for a winter hike at Blue Hills in Milton, MA. We’ll hike for a couple of hours, make Havdalah, have a bonfire and enjoy dinner and s’mores together! CityRuach will provide food for the trail and dinner. All you need to bring is yourself, boots and any hiking gear you need to stay warm and dry! We’re going to join Zach Mayer for a CD release concert! Zach is a talented musician and will be releasing a new album of new Jewish songs. The suggested donation is $10. With over 7 million hits on YouTube for his “Subway Sax Battle,” Zach has performed with John Zorn, Frank London, Michael Alpert, Joey Weisenberg, and Bobby McFerrin. He performs internationally with Zion80, a 10-piece Jewish Afrobeat band inspired by the music of Shlomo Carlebach, and his folk sextet, Night Tree, has toured internationally and has released two albums produced by Seamus Egan of SOLAS. He has been on the faculty at the Brandeis Institute of Music and Art, Laguardia Arts High School in Manhattan, and teaches at Jewish music festivals worldwide. Zach is the musical director of Kahal B’raira, a humanistic Jewish congregation in Cambridge. He received his Masters of Music from the New England Conservatory in Boston. 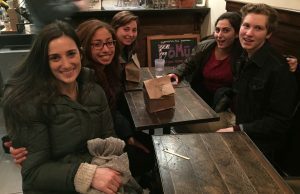 CityRuach is a Yeshua-centered, Jewish community of young adults devoted to building a Messianic Jewish presence in Boston. We are Boston’s only Jewish group that embraces Yeshua-faith. We desire to make Messiah known within our Jewish community. We are excited to announce that as of September 2017 CityRuach has a home of its own in Brighton, called Ruach House! Ruach House is a Messianic Jewish intentional community house and home base for CityRuach. Ruach House Residents form the core of our CityRuach team. The House positions us in the heart of the urban landscape; creating a physical Messianic Jewish presence in the city. We look forward to using this space to share communal life as Messianic Jews, host events, and open our doors to the wider community! Ruach Israel 20s are part of a wider network of Messianic Jewish young adults. 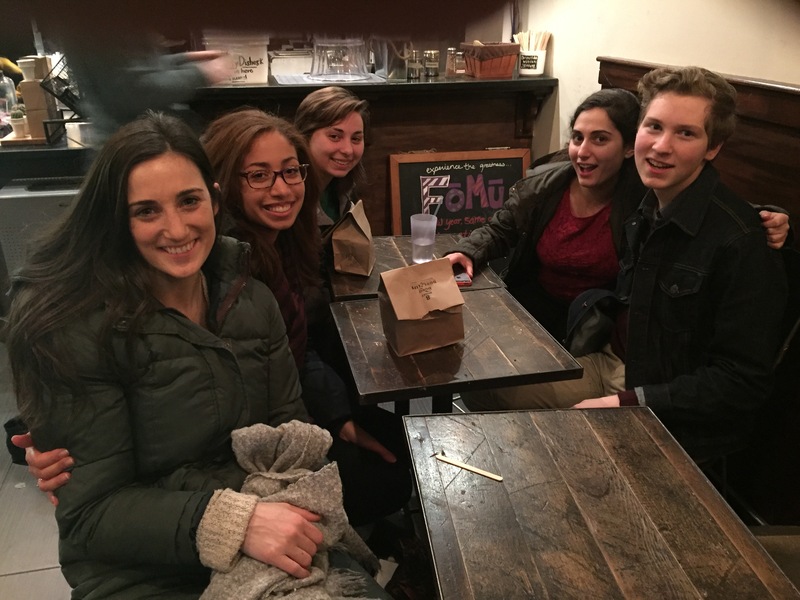 Pictured here are some young adults from the national UMJC 20s conference in D.C. Have questions about the UMJC 20s? Contact Rabbi Nathan. For more information go Visit the UMJC 20s page,. Explore our Booms page next….